Government says it is ready to operationlise the controversial University of Ghana Medical Centre (UGMC). An interim Board chaired by Dr. Anarfi Asamoa-Baah to liaise with the Turnkey Contractor to test run the equipment with immediate effect, government has indicated. A statement issued and signed by Deputy Information Minister, Curtis Perry Kwabla Kudzeto, announced that the Interim Board between now and July 2018 will complete the staffing process and ensure the provision of final logistics required for a smooth take-off. “Government as chief stakeholder shares in the public sentiment to operationalise the facility as soon as possible. It is however important to note that the above processes are completed to provide the best care for patients who will be patronising the facility,” the statement said. It noted that government has additionally secured funds to construct the Phase 2 of the project which will enable it function optimally. The $217 million University of Ghana Medical Centre which was constructed by the John Mahama administration has remained closed since its completion over a year ago. A tussle between the University Authorities and the Ministry of health over who has the right to manage the facility has protracted the opening of the facility. 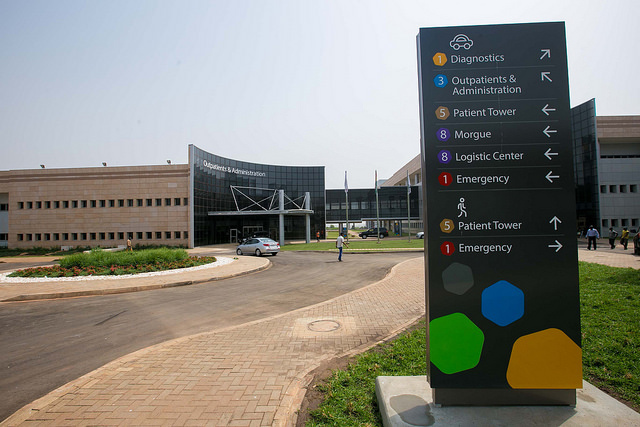 At least 1,000 people have signed an online petition as part of a social media campaign to push the government to operationalise the 597-bed capacity University of Ghana Medical Center. On Wednesday, a pharmaceutical student Reginald Sekyi-Brown, was arrested for wielding a placard demanding the opening of the facility at Korle Bu, where the First Lady Rebecca Akufo-Addo was delivering a speech. Sekyi-Brown was whisked away by the Police after he displayed a placard bearing the inscription “Open UGMC Now”. Former Director of the Danquah Institute, Gabby Asare Otchere Darko has thrown his weight behind the campaign for the opening of the University of Ghana Medical Centre. Mr Otchere-Darko, wrote on Facebook on Thursday, May 31, that “I support the Open UGMC Now campaign”.